Mrs. Nancy H. Henry was born on January 13th 1955 to the late Lucious and Margie Harris. The Lord called her home on September 12, 2018. 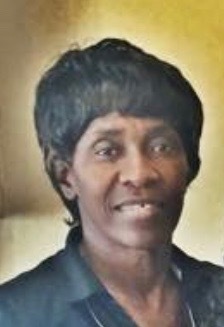 “Coach” Nancy Henry was loved by many. She received both her Bachelor and Master’s degrees from Albany State University. She taught in both Early and Seminole County for a total of 42 years before retirement. Anyone who knows her knew she had a special love for coaching basketball over the years and for teaching her students. Her husband Andrew L. Henry preceded her in death. She leaves to cherish her memories one daughter and very special son-in-law Margo and Reginald Osborne of Valdosta GA; 4 grandchildren Dylan, Madilynn, Cason, and Katelyn all of Valdosta GA; one god-daughter Jeanelle Griffin(Tory) of Albany GA; one very special friend James Pelham of Donalsonville GA; one sister Dorothy Barnes of Blakely GA; three brothers Euwarner (Gwen) of Blakely Ga, Carl Harris (Wille Mae) of Augusta GA; and Jack Harris of Alamogardo, New Mexico. Also, a host of nieces, nephews, relatives, and friends. Four siblings preceded her in death Barbra Harris, Beverly Graham, Romadell Harris, and John Harris.